Burning a DVD is a common activity for most DVD lovers. People burn their self-made videos to DVD to share them with friends and families, or burn their recorded footage to DVD to preserve them in a better way. If you have ever burned a DVD, you should know that it will usually take a long time to burn a simple DVD. Even a video that is not too long, will most likely take hours to be burned to a DVD, not to mention those long ones. If you ever wondered about how to speed up DVD burning, then you are in a right place. 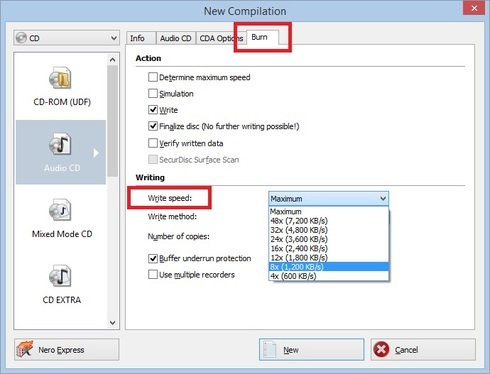 Today let’s learn something about the recording speed for burning DVD, and most importantly, see how to speed up DVD burning. There are a lot of elements work together to determine the burning speed and burning quality. When it comes getting a good burn of DVD, the burning hardware and the drive firmware are equally as important as good media. The burning hardware refers to the DVD or CD burner drive. Drive firmware is software written onto chips inside the drive to help control how the device behaves. A DVD drive and a DVD burning software work the same way as the DVD burner and its firmware. They cooperate to finish the whole process of burning a DVD. Now the speed at which a disc is burned is often referred with terms like 1x, 2x, 4x, 8x, etc. The “x” in a burning speed means almost nothing. It is not a multiplication of anything, especially when Z-CLV and P-CAV burning is involved. As you surpassed 4x speeds, time savings diminishes quickly, especially between 8x-16x speeds. Speeds range on several factors, including disc type, burning method, and the drive itself. DVD burning speed is often a choice you can make before starting to burn a DVD. The best burning speed is determined by a lot of things as well, include the official “rating” of the disc, the write strategy of the media, the firmware of the burner, and the overall quality of the media and so on. Do not be fooled by myths of “lower is better”. Sometimes you choose the lowest burning speed to burn your disc, and the result is not even better than the one under a higher speed. So choosing a right speed is important decision to make. All discs should come with a certified write strategy. In theory, it means that the disc has been tested by either the DVD Forum or the RW Alliance and certified to burn up to the speed printed on the discs and package. Much like the media ID, this information is stored on the disc, and can be read by media ID software. So the best choice you should make is to check the information using media ID software, and then choose the right burning speed to burn the disc. However, choosing a right burning speed isn’t all you can do. As mentioned earlier, a good burning software is same important as anything else. A same burning speed, say, 4X, could take longer in one burning program than the other. That explains why it seems take longer when burning different discs using different burning software. If different software has different performances in the burning speed, then which one can provide a higher speed and keep a good quality at the same time? Well, Theoretically, a burning speed that doesn’t match the best burning speed of the disc will definitely compromise the optical quality of the disc, resulting a bad quality in picture or audio. So the first thing you need to worry about is choosing a right burning speed. For a same burning speed, different DVD burning program could bring different performances. So choosing a good program is also as important. Here is one program that can do that, and this program is called Leawo DVD Creator. Leawo DVD Creator is a professional DVD burning program that can easily burn all kinds of videos to a DVD disc. The advanced burning technology within the software can allow you burn your video in a highest speed and preserve the original quality at the same time. 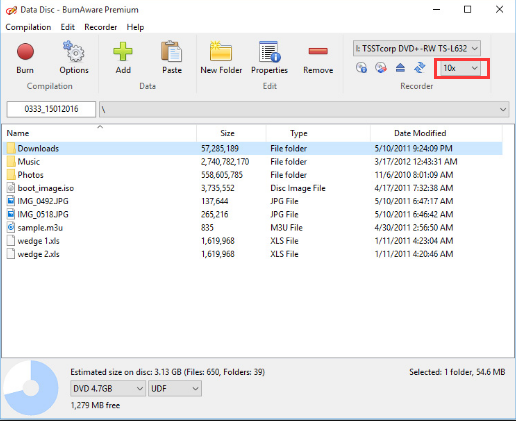 The program is easy to use, and can deliver a stable performance when burning any video to a DVD disc or ISO files or folder. 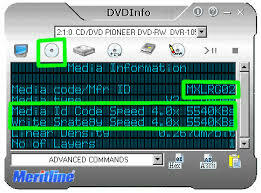 To burn a DVD disc in a high speed, all you need to do is to follow the instructions below. Step 2: Import your source video by clicking the “Add Video” button. You can import a single video, ISO file or a folder. Also, if you want to burn photos to a DVD, you can import pictures by clicking the “Add Photo” button on the right. Step 3: After importing your source video, you can choose the burning speed from the box below. The default speed setting is “Fit to disc”, which is decided by the actual information of your disc, and it’s suggested that you keep it that way. You can also choose a higher speed to finish the burning faster. Step 4 (Optional):Leawo DVD Creator provides some additional functions for you to burn a more personalized DVD disc. If you want to do some further edits to your video, click the edit button on the video, you can trim, crop, add special effects, add watermarks, or turn 2D video to 3D in the built-in video editor. You can also create a DVD menu base on the beautiful DVD menu templates. 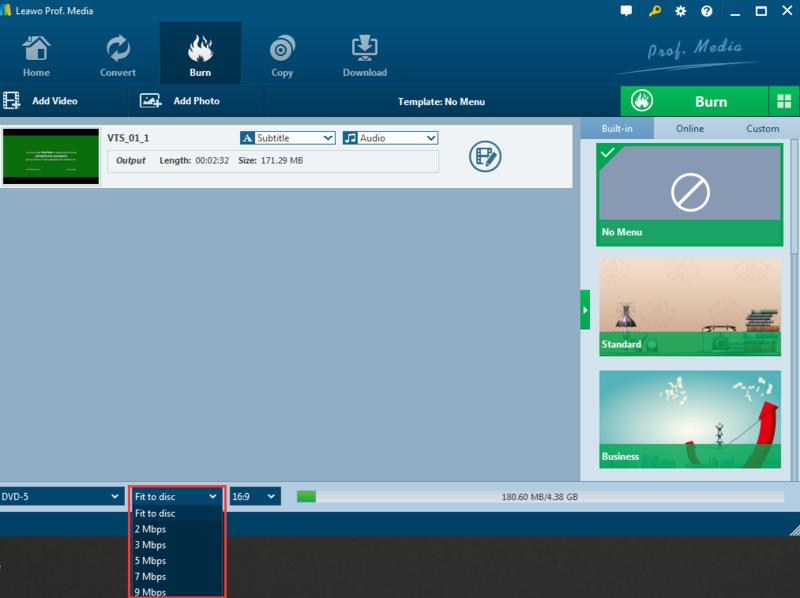 Step 5: Finally, click the green “Burn” button to call out the burning setting panel, where you can set output format, whether you want to create an ISO file or folder, or you want to burn your video to an optical DVD disc. Then set an output directory. When you have set all of that, click the burn icon below to start burning. How long the burning process will take depends on the speed you have chosen in the third step. You can choose to shut down your PC when it’s finished if you don’t want to wait. Besides the Leawo DVD Creator, there are other DVD burning programs that provide DVD burning speed options, and have a quite good DVD burning performance. Here are some of the most popular choices of them. ImgBurn is a DVD burning program that has been popular among DVD enthusiasts for a long time. It’s widely considered one of the best in the DVD burning business, despite the fact that it hasn’t received any updates since 2013, whether the looks or functionality. 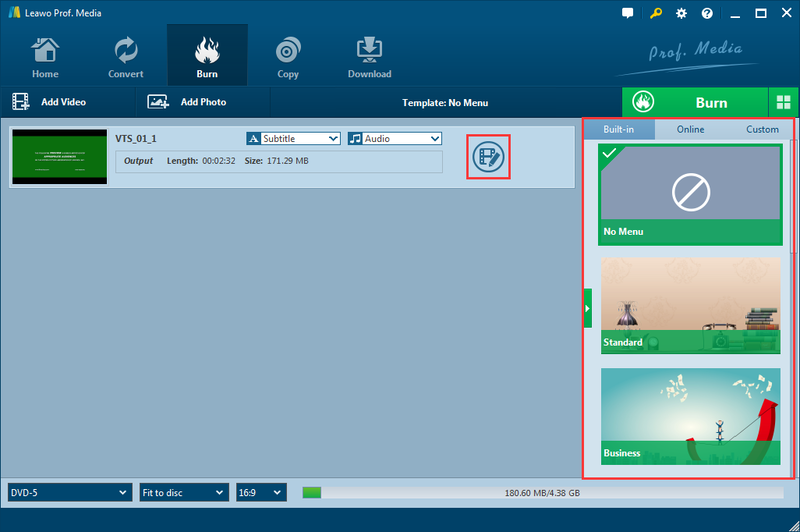 ImgBurn provides the function of burning images to discs, as well as writing files to discs and creating images from discs or files. All of these options are lined up in the main app window, which to the delight of older ImgBurn users, keeps a classical appearance, refusing to adapt to modern standards. It’s liked by many loyal fans of the program, but also disliked by someone that is new to the software. ImgBurn provides a burning speed selection once you have chosen the function module. As many other programs, you only need to select the speed you desire before burning, and the program will do the work at the speed of your choosing. Like ImgBurn, Nero Burning ROM is also a trusted DVD burning program that is liked by so many users. The difference is, Nero Burning ROM keeps releasing new versions. Nero Burning ROM is a time-tested program that allows you undertake whatever media creation you need. With it, you can burn CDs, DVDs and Blu Ray discs on your Windows PC. Nero Burning ROM can be used to create ISOs to optical media, including bootable copies for operating system disks. The software can also burn the high-definition Blu-Ray format, as well as its predecessor, DVD. Nero Burning ROM also supports AVCHD, a format developed primarily for camcorders. Nero Burning ROM supports burning speed selection. When you have chosen a function, there is a “Burn” tag on the right. In the “Burn” tag you can find the writing speed option. Choose a writing speed and the software will apply it to the burning. 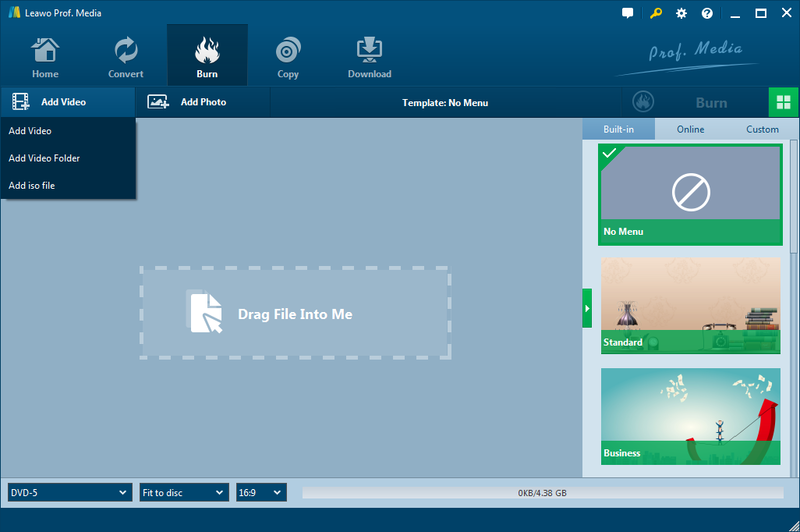 As another DVD authoring program, BurnAware offers a wide array of optical disc authoring and utility tools. Its interface is simple and well-structured and you’ll have your CD or DVD created in a few and easy steps. You can also create bootable or multisession discs, high-quality Audio CDs and Video DVDs, make and burn ISO images, copy and backup discs, extract audio tracks, erase and verify data and even recover data from multi-session or unreadable discs. The speed setting of BurnAware is a little bit hard to find and easily be ignored. When you have chosen all the files you want to burn, there is a little box that allow you to choose burning speed at the top right corner. You have to look really carefully to find the box.